There was a rumour that Joe Danger would be heading to XBL, this is now a reality as the game is announced officially for Xbox Live. This was announced by Hello Games today. It’s not the same version as the PSN one though as it features a lot of extras. It contains some new environments and gameplay modes and they are targeting at a 2011 release. “We’re really excited about coming to XBLA,” Hello Games’ Sean Murray said. 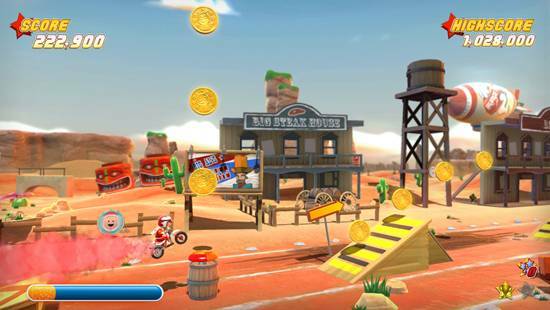 “For a start my brother is finally going to be able to play Joe Danger. Well, knowing him he’ll probably just download the Trial. They have also announced the sequel to Joe Danger, which is called Joe Danger: The Movie and it will be available on both PSN and Xbox Live.